Jose Mourinho's side earned a 0-0 draw at Liverpool to move the Red Devils onto 20 points after eight Premier League matches this . The 20-point total equals the club's record Premier League haul after that number of games - a tally which was also reached in the 2011/12 and 1999/00 campaigns. United will be hoping this season ends in a similar fashion to the latter as they won the title in the 99/00 season. 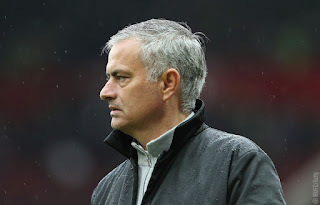 Mourinho's men face a tricky away fixture at Benfica on Wednesday in Champions League action before travelling to Huddersfield in the Premier League next weekend.